It seems like the upcoming Civic will follow the City’s variant nomenclature. New-gen Civic set to be launched in March 2019. 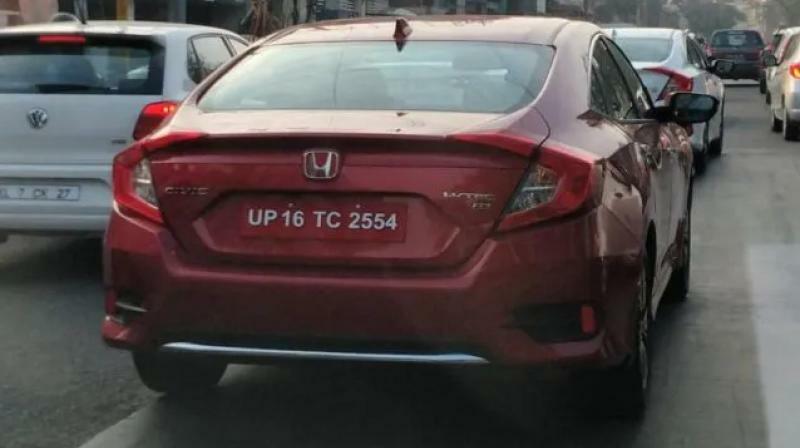 Honda Cars India is all set to reintroduce the Civic nameplate once again. The all-new, tenth-gen model is expected to be launched here in March 2019. We are likely to get the refreshed version of the sedan that was introduced in the US in mid-2018. 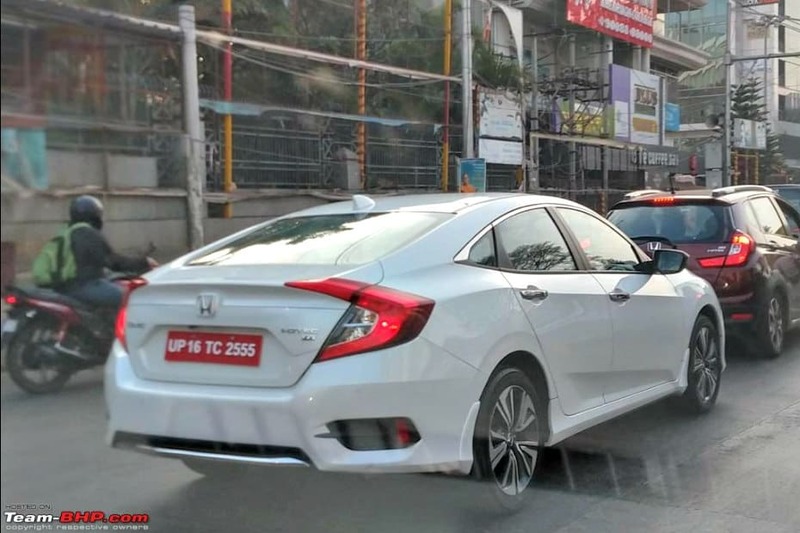 While we’ve seen camouflaged test mules of the new Civic before, the upcoming sedan was spied in its full production guise in Bengaluru recently. The sedan spotted in Bengaluru was seen wearing a ‘ZX’ badge on the boot lid. This leads us to believe that the Civic will follow the same variant nomenclature as its smaller sibling, the City. While the City has a four variants - SV, V, VX and ZX - the Civic’s could be limited to just two - VX and ZX - like before. It is expected to be priced between Rs 16 lakh to Rs 20 lakh (ex-showroom) and will rival the Skoda Octavia as well as the Toyota Corolla Altis and the Hyundai Elantra. The India-spec Civic is expected to carry forward the 1.8-litre i-VTEC petrol engine from the older model. However, expect it to feature significant updates to keep up with modern rivals. The 1.8-litre engine is now part of Honda’s Earth Dreams series and now features direct injection. Thanks to these updates, the engine is now rated at 141PS and 174Nm compared to 132PS and 171Nm. It will now be mated to a 6-speed manual gearbox instead of a 5-speed unit. Whereas the old Civic came with the option of a 5-speed torque convertor, the new model will feature a CVT. The highlight of the new Civic, however, is that it will be offered with a diesel engine for the first time in India. It will pack the CR-V’s 1.6-litre i-DTEC diesel engine that produces 120PS of power and 300Nm of peak torque. At launch, it will only be offered with a 6-speed manual. There’s no word on a diesel-auto combo yet. The Civic will be a feature-rich model and will share most of its goodies with the CR-V. Expect it to pack a sunroof, a 7-inch infotainment system with CarPlay and Android Auto, six airbags, LED lighting and Honda LaneWatch camera, among others. Stay tuned to CarDekho as we’ll be driving the new Civic soon!